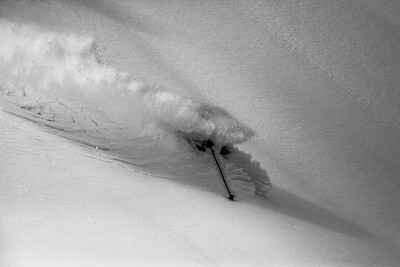 Throwing up a large plume of powder, this skier is about to get a highly sought after "faceshot"
I love to capture textures that are too quick to see with the naked eye. 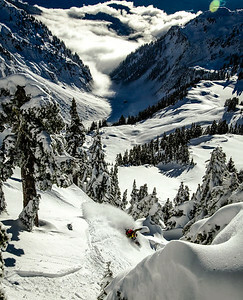 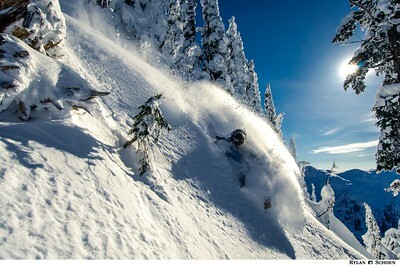 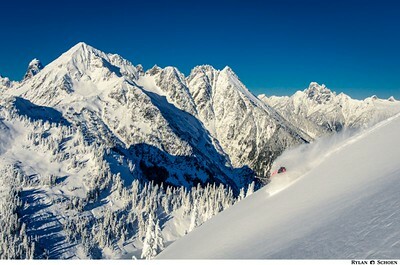 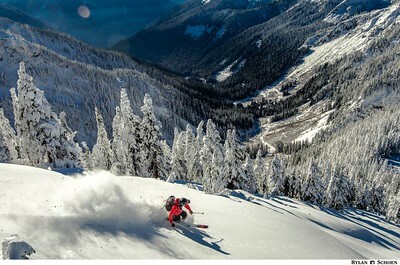 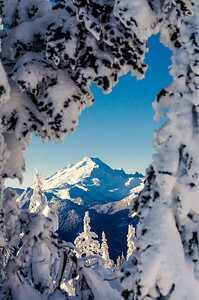 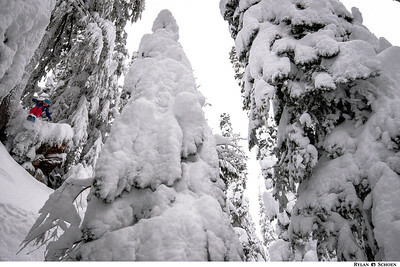 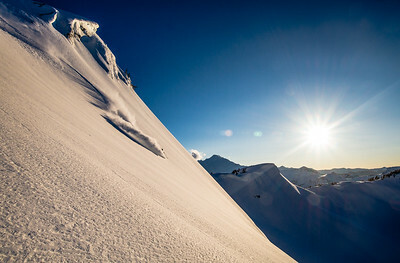 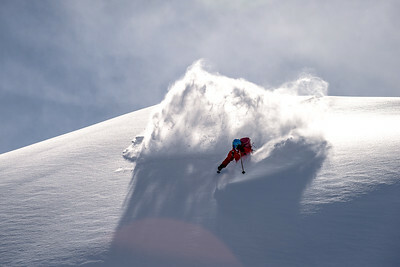 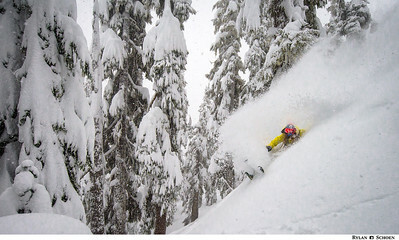 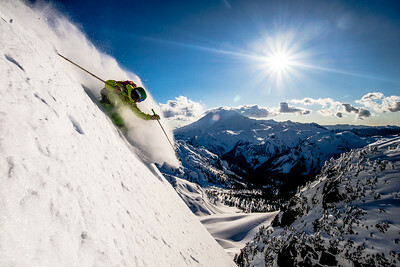 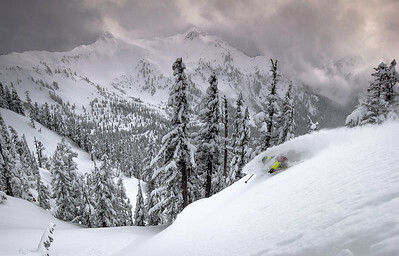 Buried in fresh snow, the skier is about to explode out of the "white room"
Backcountry skiing in the Pacific Northwest. 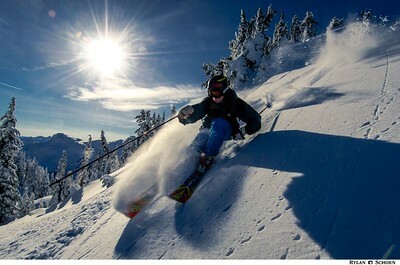 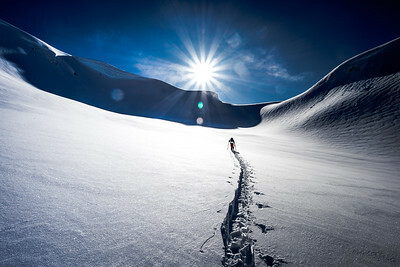 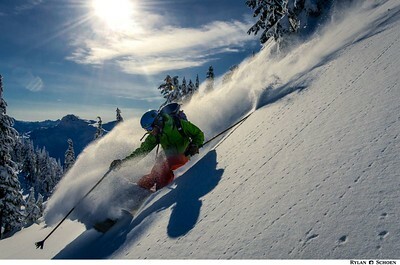 Here a skier sets a track toward the next objective. 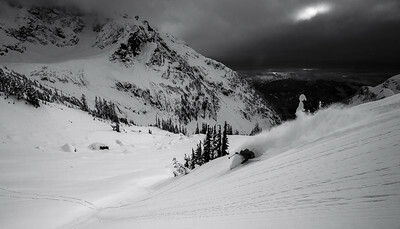 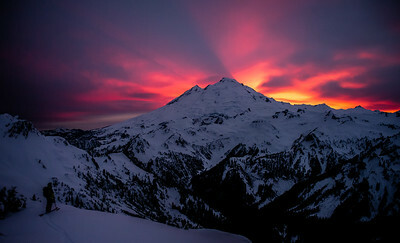 North Cascades Backcountry skier takes some final turns for the day on the way home. 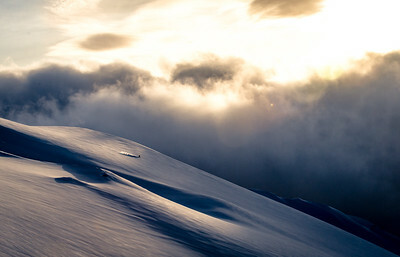 Storm is brewing in, as forecast by the cloud cap on Mt. 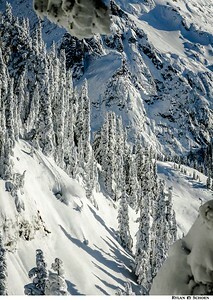 Baker in the background. 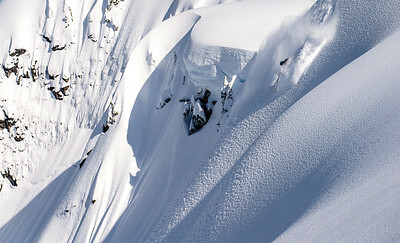 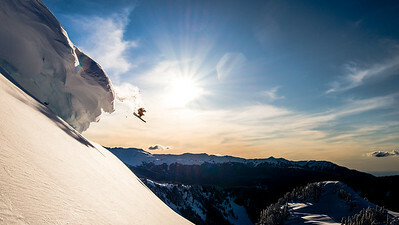 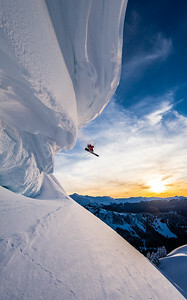 A backcountry skier launches off a 30 foot overhanging cornice. 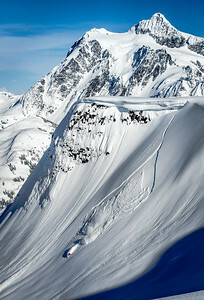 Cornices like these build up throughout the winter from wind whipping over the edge. 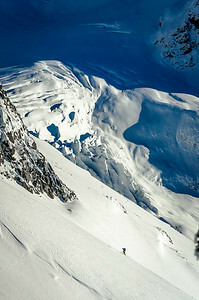 All photos copyright of photographer listed and may not be downloaded or reproduced with permission of photographer.